Klinklang in game: 369 Who? Important notice! 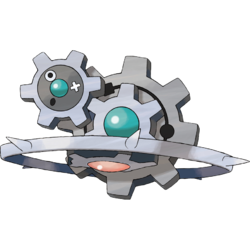 Pokemon Klinklang is a fictional character of humans. Klinklang (Japanese: ????? Gigigiaru) is a Steel-type Pokémon introduced in Generation V.
Klinklang appeared in White—Victini and Zekrom and Black—Victini and Reshiram with Klink and Klang under the ownership of Eindoak Town mayor Mannes. He used the three for various tasks, such as powering the music machine at Eindoak Town's Harvest Festival, doing yard work on his property and finally, powering his helicopter in the climax of the films. Klinklang made its anime TV debut in Evolution Exchange Excitement!. 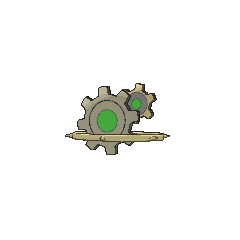 One appeared in Chargestone Cave, where it had a pen that was left behind by Cedric Juniper stuck in its gears. 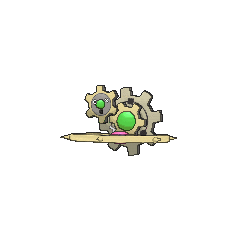 The same Klinklang later appeared in a flashback in Battling the Bully!, when it was revealed that the Sunglasses Krokorok threw the pen into its gears by accident. Two Klinklang make a brief cameo in Team Eevee and the Pokémon Rescue Squad! powering two separate helicopters. 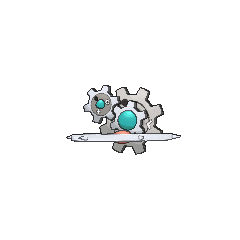 One of them appeared again in Curtain Up, Unova League! and Mewtwo — Prologue to Awakening. A Klinklang makes a brief appearance on a television monitor in Genesect and the Legend Awakened. 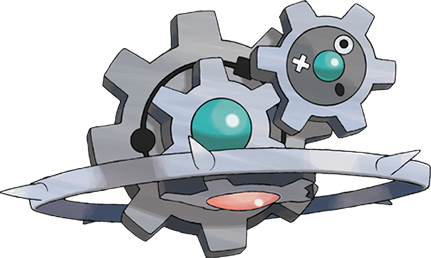 Ingo has a Klinklang which was seen next to him while White was testing the Battle Subway. 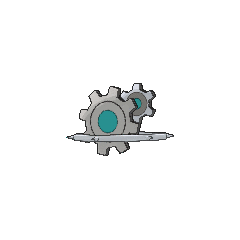 Another Klinklang was seen under the ownership of Colress. Mandarin Chinese ??? / ??? Chilúnguài? From ?? chilún and ? guài?